Brazil, Russia, India, China, and South Africa, collectively known as BRICS, on Wednesday, signed a declaration to accelerate cooperation in cultural areas. Editor's note: Yang Zhiguang is an assistant research fellow at the African Institute under China Institutes of Contemporary International Relations. The article reflects the author's opinion, and not necessarily the views of CGTN. The BRICS - a combination of five emerging economies, namely Brazil, Russia, India, China and South Africa - just concluded its 10th annual summit in Johannesburg, South Africa, on Friday. As the leader of a BRICS nation, Chinese President Xi Jinping looks to the future, hoping to see a second golden decade. Will Industry 4.0 be an opportunity for developing countries to catch up? Editor's Note: Arison Tamfu is a multi-award winning journalist and West African editor of the Daily Reporter, as well as a freelancer for major regional and international news media. The article reflects the author's opinion, and not necessarily the views of CGTN. Editor's Note: Su Qingyi, a senior research fellow and deputy head of department of International Trade, Institute of World Economics and Politics (IWEP), Chinese Academy of Social Sciences (CASS). The article reflects the author's opinion, and not necessarily the views of CGTN. Editor's note: Wang Li is a professor at Jilin University in China. The article reflects the author's opinion, and not necessarily the views of CGTN. What is the impact of the BRICS Plus framework? If you make up 40 percent of the global population and 30 percent of the global GDP, you’re likely to be the one that the world would look to when the going gets tough. Chinese President Xi Jinping has called on BRICS countries to seize the opportunity of the new scientific and technological revolution and industrial transformation to open up a second golden decade of cooperation. Ordinary citizens in BRICS nations haven't yet felt the full impact of advancing technology, but young people are desperate to make connections and form meaningful partnerships, and that’s why Nicholas Bereng, a young entrepreneur in South Africa, is using technology to upgrade the education sector and improve literacy in schools across the country. One company in Guangdong Province has already gotten its foot in the door as China deepens its cooperation with BRICS countries, in supplying high-end equipment to factories in Brazil and India. Editor’s note: Lyu Yang is an assistant research fellow at the Institute of Latin America Studies under the China Institutes of Contemporary International Relations. The article reflects the author's opinion, and not necessarily the views of CGTN. We should expand the BRICS Plus, jointly strengthen mutually beneficial partnerships and create a platform to deepen South-South cooperation, Chinese President Xi Jinping said. News reporting at big events like the BRICS summit is hectic. Heads of states from five BRICS member countries gathered Thursday in Johannesburg, South Africa for the annual summit, which means bilateral meetings, leaders’ speeches, panel discussions and news conferences are flooding around. Reporters have to find a workaround to get through a busy event like this. Editor’s note: Ning Shengnan is an assistant research fellow at department for Developing Countries Studies under China Institute of International Studies. 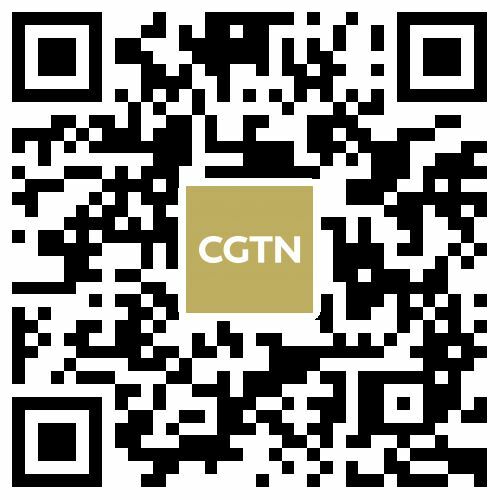 The article reflects the author's opinion, and not necessarily the view of CGTN. Editor’s Note: Sola David-Borha is the Chief Executive Africa Regions at Standard Bank. The article reflects the author's opinion, and not necessarily the views of CGTN. Editor's note: B R Deepak is a professor at Center for Chinese and Southeast Asian Studies, Jawaharlal Nehru University. The article reflects the author's opinion, and not necessarily the views of CGTN. Editor’s note: Shen Shiwei is a research fellow of the Charhar Institute and former government relations and business consultant for Chinese enterprises permanently in Africa. The article reflects the author's opinion, and not necessarily the views of CGTN. Biotech, especially biomedicine has always been an important reason for humans to live longer and longer. And the BRICS countries, namely Brazil, Russia, India, China and South Africa are teaming up to make more biomedicine contributions to the world. Editor’s note: Wang Shanshan is a current affairs commentator and former Washington bureau chief of China Radio International (CRI), with 10 years of research on China-US relations. The article reflects the author's opinion, and not necessarily the views of CGTN. Chinese President Xi Jinping said on Thursday that China is ready to deepen friendly and mutually beneficial cooperation in various fields with Uganda in an all-round way. Chinese President Xi Jinping on Thursday called China and Turkey natural partners in the joint construction of the Belt and Road, and said both sides should push for an early launch of major cooperation projects and achieve early results in aligning their development strategies. Chinese President Xi Jinping said Thursday that China is willing to consolidate and develop a closer development partnership with India. Chinese President Xi Jinping and his Russian counterpart, Vladimir Putin, met on Thursday and exchanged in-depth views on current international situations. Chinese President Xi Jinping said on Thursday that China is willing to work with Argentina to make contributions to safeguarding the multilateral trading system and improving global governance.